Smoking is a habit that may consume large part of your dedication if you wish to quit it. If you do wish to quit smoking then you need to have extreme willingness to do it. 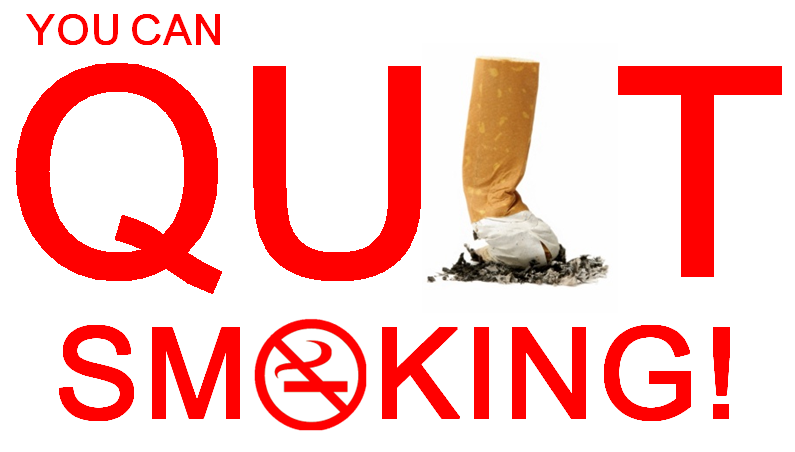 The first step towards this is through educating yourself about the advantages of quitting it and disadvantages of continuing with smoking. So if you made your decision to quit smoking you can do it by following some simple steps provided here. Finalize a day- Until and unless you will not decide the time you wish to stop smoking you can't ever stop it. Decide a particular day when you will stop it and then start to mentally prepare.. Inform about it to you beloved ones and also to those who accompanies you in smoking. Once if you could make this commitment then you could be assured that you are going to succeed in your target soon. Know your smoking habits- Understand your own habits of smoking and the time interval in which you consume them. Check the place and time when you consume them. This could be the moment when you are going to washroom or when you are leaving for office or even when you are overstressed? While living these moments think about some other things that you could do instead of smoking. Practice a new lifestyle then a routine one- You could start practicing any new sport or doing something that is not present in your daily lifestyle. You could also start with some exercises or something that is going to keep you occupied for long or something that could even distract you from your habit of smoking. Always mind there is nothing called impossible in life and if you are really dedicated to leave smoking you can do it simply. Nicotine carvings-This will be a great plan to start with. One could start with long and deep breathing. This is something that will keep you occupied and busy at the same time. Look for the presence of utilizing gum if needed but at the same time be sure to grab professional medical aid. You could also take aid for learning the usage of these things. Be positive- Positivity is something that can do impossible things. People with positive outlook canchange you and your life style totally. More you think that you no more wish to smoke in your life, easily you can stay away from that. Try to imagine a life where smoking does not exist into your life. This life will not only be a health one but at the same time you could save lots of money that you have wasted in this killing habit. The knowledge of this fact will surely motivate you. Nothing is impossible if you are dedicated enough towards that particular thing. Adapting any habit is easy but discontinuing the same is a bit tough task.This is tough but by no means is it impossible. Stay positive and dedicated and soon you will overcome your habit of smoking.So if you do any other way to quit smoking do share with us through commenting. I was never a smoker though I tried it once when I was in college but never bothered trying it again. I'll let my cousin read this since they're heavy smokers. It's really hard to break a habit, and even harder if it's already an addiction. As for smokers, it's not only about mental preparation. There's also physical. My dad is a smoker and he's finding it extremely hard to quit it. His brother, on the other hand, had to quit his lifelong addiction after he experienced difficulty of breathing. I guess desperation situation calls for desperate measure! Lol. Smoking is really dangerous french people here is really a chain smoker I think because of the climate its cold..
thanks for this tips.. my husband smokes and i really want him to quit smoking. will share your blog post with him. smoking is such a tough habit to resist. Some says its really hard to quit but if one is really determined he/she can beat it. All you need is self discipline and believe in your self that you can get out of it. Sometimes its just a matter of choice. Either you want to live longer or to die quicker. I was never a smoker although I'm friends with a lot and as for them quitting is really tough. I'll let my smoker friends read this article and hope to make them quit or at least lessen their nicotine intake. I was once a smoker (in high school) but didn't have the habit and addiction for it. So I just did quit 8 years ago. This are great tips!